Our product range includes a wide range of solid colour scarves for collage, designer color scarves, solid color scarves and fancy color scarves. We are actively engaged in providing excellent quality assortmnt of Solid Colour Scarves for Collage to our clients. Moreover, clients can avail the offered range from us at market leading prices. We manufacture, export and supply an exclusive collection of Designer Color Scarves to our clients. By using latest stitching machinery and leading technology, we stitch these solid color scarves as per the market norms. Its precise stitching, skin-friendliness and comfortable to carry properties make it more demanding among customers. Not only this, our professionals provide the customized demands of the patrons. Backed by rich industry experience, we are engaged in offering an extensive range of Solid Color Scarves. 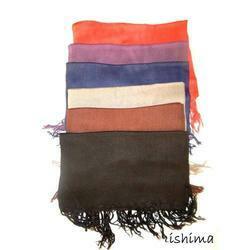 These scarves come in solid plane colors can be wear with kurtis. The fascinating design with printed pattern is the most attractive feature of these solid color scarves. Our customers can have these solid color scarves from us in modified options according to the exact preferences and needs of customers. 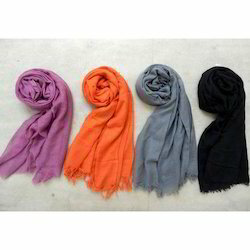 These solid color scarves are given at market leading prices to our customers. 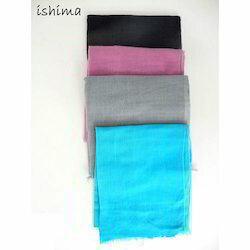 We are ranked amongst the notable manufacturers, exporters and suppliers of an exquisite range of Fancy Color Scarves. This scarf is designed and manufactured under the supervision of our experienced designers on track with the latest fashion trends utilizing excellent quality raw material and modern techniques. Furthermore, our clients can avail this scarf from us in different solid colours like black, grey, blue, orange and many more. Looking for Solid Colour Scarves for Collage ?